NetZoom™ allows users to accurately model the entire data center infrastructure. Asset configurations and more complex configurations like rack and enclosures have a detailed, exact replica model created once and reused for each installation of the model. Accurate modeling helps maintain the Source of Truth for the data center, provides comprehensive infrastructure management to the card, module, power ports and data port level. The NetZoom Device Library simplifies modeling every asset in the data center as every device needed is available for use along with related cards and modules. The NetZoom Device Library is the most up-to-date data center device library available as it is populated with over 250,000 devices from over 5000 hardware manufacturers. The library is updated every week and available 24x7. Requests for new devices are completed in as little as 24 hours. 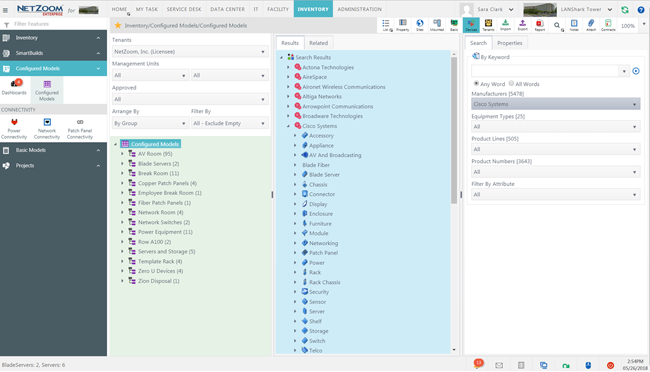 With NetZoom, users can easily create Device Model configurations that exactly match the installed devices in the data center by using the related card and module feature. Models can be created once and used repeatedly for each installation of the model. 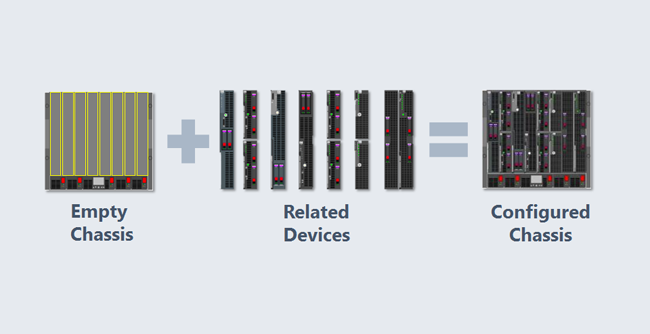 Device models can include connectivity between ports within the model. SmartBuilds are complex configuration models like pre-populated racks, enclosures and blade servers that can be created once and used repeatedly throughout the data center. NetZoom even lets you know instantly where any SmartBuild is installed. 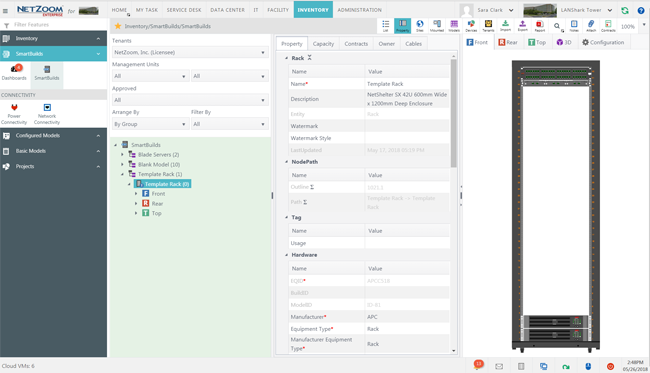 With NetZoom, the user visually configures a SmartBuild using devices from the Device Library, Configured Models and other SmartBuilds. 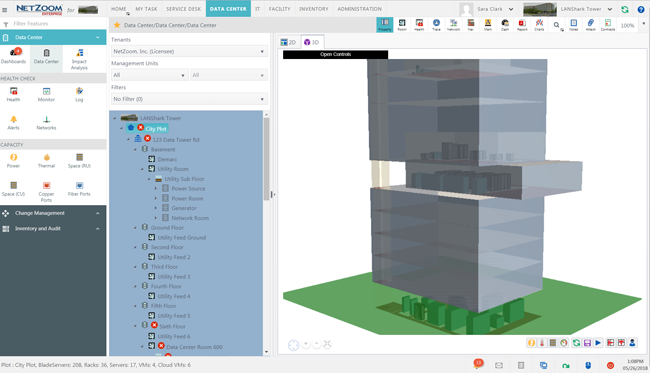 Each SmartBuild not only includes the devices used to create the configuration but also the connectivity between ports within the SmartBuild so that the configuration is completely modeled and visualized. Creating an accurate representation of the site, building and data center can provide insight when troubleshooting, implementing a major project or performing day to day tasks. NetZoom lets users model from the site, through the building, floors, rooms, rows, racks, devices all the way to the ports.